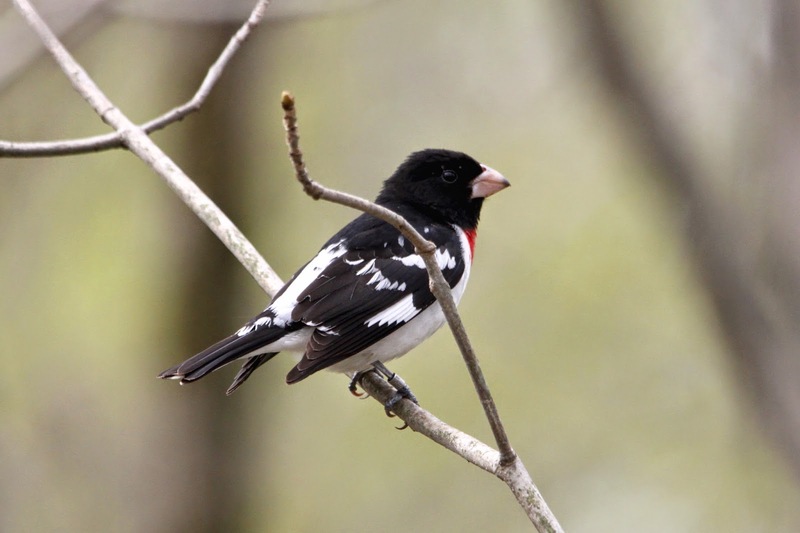 Yesterday was our first day of vacation and also World Migratory Bird Day. 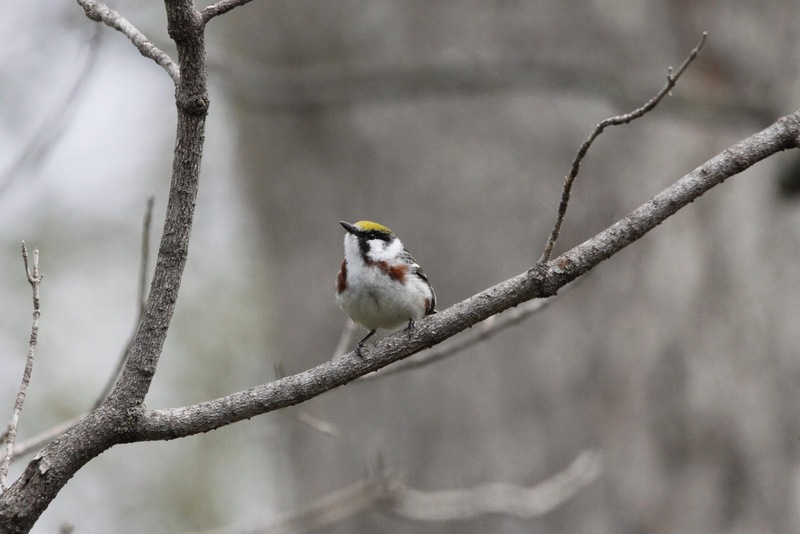 We headed to Ruthven for a great morning of birding. 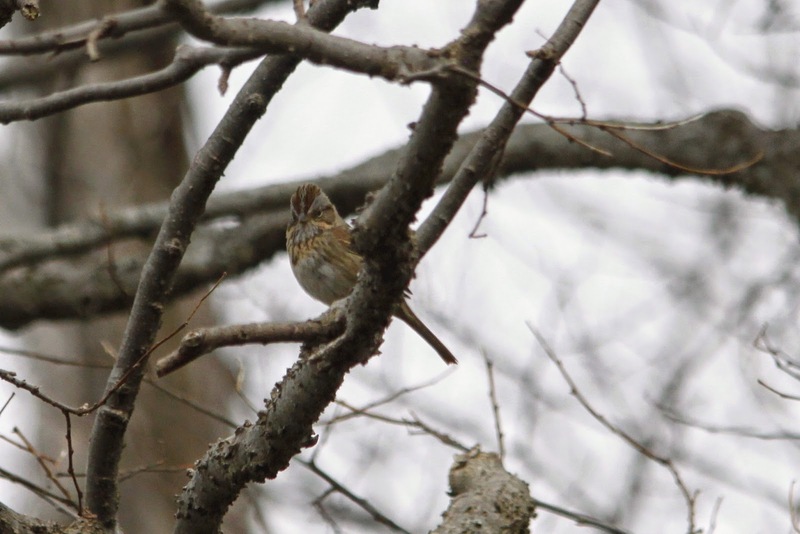 I had many "firsts of the season" and I even had a lifer. 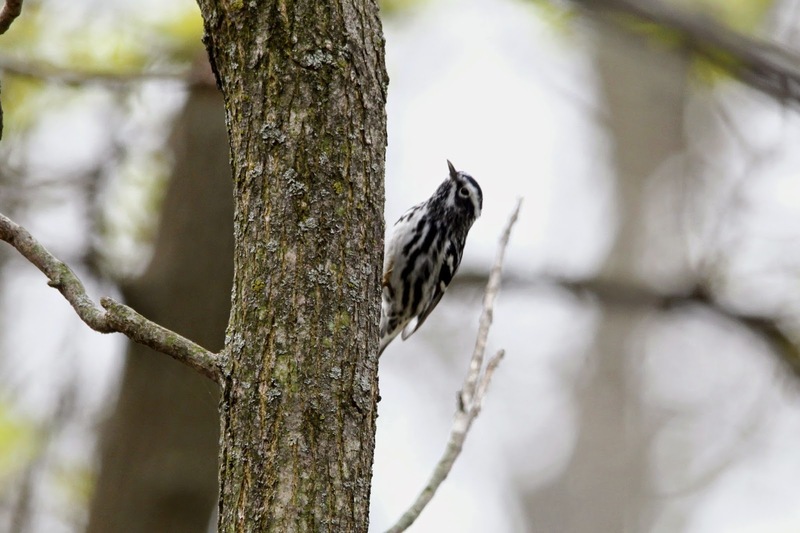 I was very happy with my 7 species of warblers. Black-and-white - First of the season. Chestnut-Sided - First of the season. Nashville - First of the season. Yellow - First of the season. Pine - First of the season. Common Yellowthroat - First of the season. We also viewed; Purple Martins, Eastern Bluebirds, Turkey Vultures, Chickadees, White-breasted Nuthatches, Turkeys, Blue-gray Gnatcatcher, Goldfinches, Baltimore Orioles, Tree Swallows, Lincoln Sparrow (only our second one), Rose-breasted Grosbeaks, and we had our first of the season Ruby-throated Hummingbird, who stopped and hovered right in front of us. We think he may of followed us home, as later that afternoon we had one in the backyard! We've never had them in the yard this early before. As always, we enjoyed our time roaming the grounds of Ruthven, visiting the great people in the banding lab and of course, the birds. 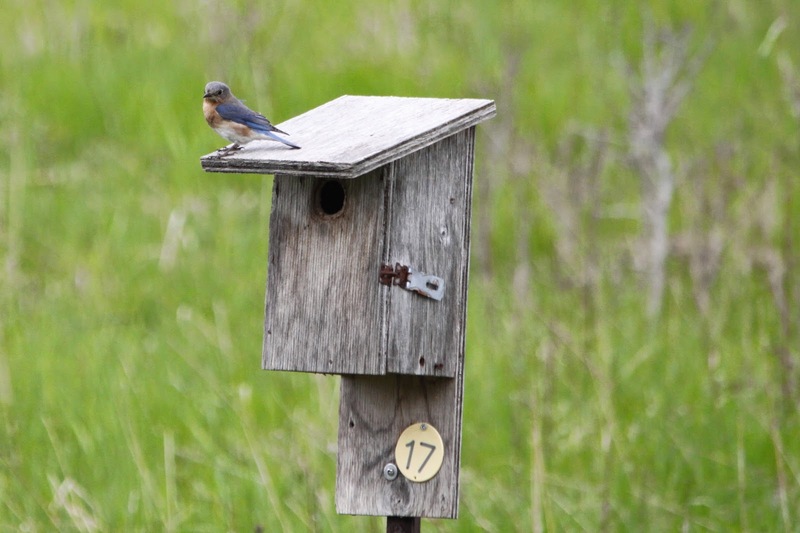 A few weeks ago, when we last visited Ruthven, Tree Swallows were competing with a pair of Eastern Bluebirds for nest-box #17, we were happy to see the Eastern Bluebirds won. The Tree Swallows occupy many other nest boxes on the grounds. 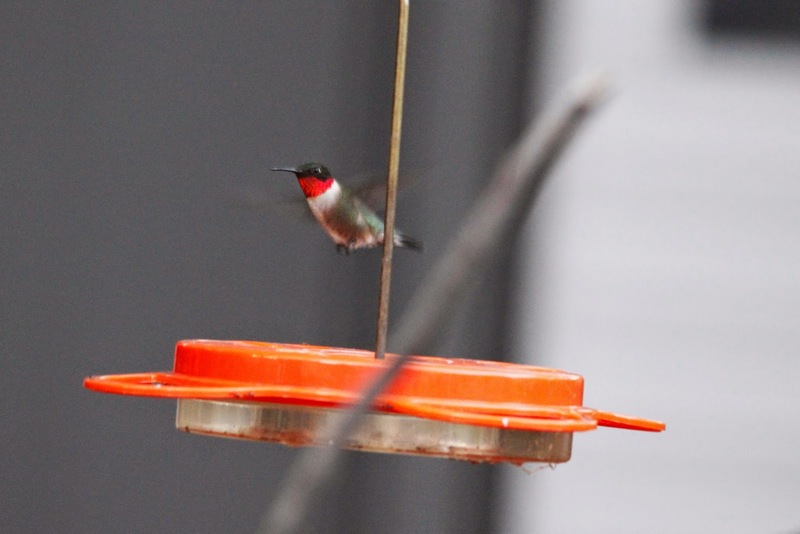 The male Ruby-throated Hummingbird that followed us home! Now, I am off to enjoy vacation, and I will tell you all about it after it's over.